finished reading through this thread, finished installing a compatible perl that works with openkore. I am one of the old timer devs who wrote many of the route functions back in 2003~2005. But there are tons of changes I noticed. Lets see if I am still up to this. Hi guys! I have cleaned the thread and left all the useful information here. Just to remind you guys again this is not a support topic! If you expect to find a download link / zip here, Then you are in the wrong place. This is solely for developer discussion about XKore1 packet structure and how to tackle it (in the code) in-order to support new pRO servers (Loki, Thor) botting using XKore 1. Then once that is solved, then Heroo and the others will probably setup another topic for a download or merge necessary code changes to the git repository and probably post another topic to handle encryption and XKore 0. Any user that will post support questions (how to make this work? where to download? how about kore 0)? will probably get cleaned and will be warned. hopefully we can figure this out very soon! tested with xkore 0. can enter map and read all stats. but still can't do anything. major change is in MessageTokenizer that wrap to the packet segmentation. I think it should work with x1 but I can't try myself. 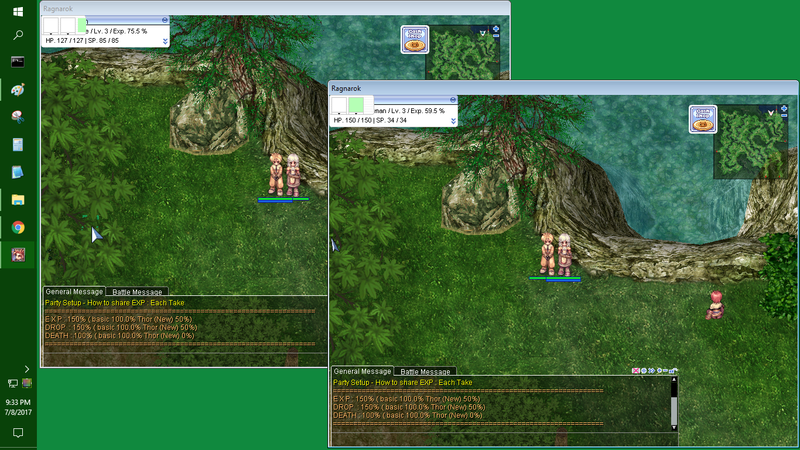 I dual logged-in my Acolyte and Swordsman on the same map. Then, i placed them side by side. It is able to login... kinda? even Openkore is saying that "You are now in the game." However, my Swordsman is nowhere to be found in game! When I checked the "Party Status Window", it is saying that my Swordsman is "Online". then after a few minutes... the bot disconnects. How were you able to bypass the issue with the map login? I'm stuck on that it gets timeout. it looks like encryption starts after map_login. Do you know where packet 059A is used? I'm getting errors on that one. sir ung character_move at attack nakuha mo rin ba ung packet? Just noticed that ragnarok ph modifies a process called csrss.exe. I had tested it on 4 computers with windows 7 and the results are the same. Maybe this is the reason why packet editing software can't hook to the ragnarok ph client? Is my observation the same with you guys? csrss.exe is native for windows NT. so I don't think this is the reason why packet editing is not working. this is more of the security measures that the new ragnarok ph provider implements. more like they encrypt their packets or shuffles them.